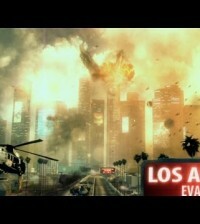 Activision released four teaser trailers of Call Of Duty: Modern Warfare 3. As we informed you yesterday, the game will be released this year and will take place after the events of Modern Warfare 2. Additionally, these teaser trailers reveal that the game will take place in America, England, Germany and France. The developers on the other hand stated that not all of Kotaku’s details (that we posted yesterday) are true, so take them with a grain of salt. Enjoy the teaser trailer after the jump.